Depression is nearly always in the news. It is perhaps the most pervasive ailment that afflicts lawyers, who are the most depressed of all the professions. A disproportionate number of lawyers commit suicide, usually in middle age, writes Bob Murray. I don’t want to go into what everyone else has gone over. Rather, I want to look at the affliction from a different angle and use the latest findings from biological psychiatry, behavioural neurogenetics, psychology (my fields) and evolutionary studies to throw some light on the affliction, and to suggest some simple remedies to alleviate it in firms. First, to clear away some misconceptions. To begin with, we have no idea of the complete range of causes for depression. We know that it is closely linked to stress, particularly workplace stress and anxiety. We know that it is about 40 per cent genetic (it tends to run in families). We have learned recently that it’s not really one illness but a syndrome – multiple illnesses with similar symptoms – and that no one cure works for all depressive states. We also now know that that childhood abuse and neglect are closely associated with depression, as is early pressure to succeed at school or in sport. We have become aware that depression is closely tied in with the way work and society are organised and that pollution, lack of exercise, living or working in a high-rise building, having little contact with nature and any significant failed or lost relationship can all be contributory factors. We are realising that men and women have different symptoms and that although we used to think that the rate of depression for women was twice that of men, we now know that that is false and the real rates are pretty similar. Depression is usually classed as either mild (dysthymia), moderate or severe. All can be reactive to a particular event (e.g. childbirth or pregnancy, or the loss of a spouse, a job or even a major client) episodic (it comes and goes with greater or lesser intensity) or chronic (which is when the episodes tend to run into one another). Within severe depression there are two important sub-groups: major depressive disorder (MDD) and treatment-resistant depression (TRD). For moderate-to-severe depression, MDD and TRD there is no definite cure. Since the University of Hull study in 2008 we have known that no pharmaceutical approach works any better than a placebo for any depression in the long term. Talk therapy doesn’t work at all for MDD or TRD. Several promising approaches are being tested and, in the US at least, applied in practice: for example, the use of ketamine and transcranial stimulation (TS). There is no evidence that any of them work in the long term, although ketamine is known to have immediate beneficial effects in short-term treatment of MDD and TRD. TS treatment may have a somewhat longer shelf life but it takes longer to work. Many US hospitals are now using ketamine in crisis intervention with suicidal patients. Britain, for reasons to do with its use as a street drug, has banned the use of ketamine altogether. Crazy, as lives will be lost as a result. Also promising are the new ways scientists are looking at a number of neurochemicals, especially glutamate and dopamine, and how they signal within the brain. Both are also key parts of the brain’s reward system (oxytocin being the other major component). The lack of either can lead to serious complications, including mood disorders and addiction. In fact, studies have shown that depression and addiction in lawyers are very closely linked and often the addiction to alcohol or drugs is an attempt to disguise or to overcome the illness. Lawyers are twice as likely to suffer from alcoholism and other addictions than the rest of the population. The disruption of the reward system leads to anhedonia (the inability to find pleasure in activities) and problems with memory and learning, which are major symptoms of all kinds of depression. This has led to attempts to use drugs to control the amount of both glutamate and dopamine. So far without a great deal of success, although simple praise and recognition have been shown to increase the flow of dopamine and enhance mood and learning, at least in the short term. One of the main problems for law firms right now is the chronic need to innovate and try new ways of doing things. Yet lawyers are notoriously reluctant to learn new things and to change. I believe the research shows that this reluctance is tied to depression. One of the key symptoms of depression, especially MDD and TRD, is the inability of the brain to try new behaviours. The business of law and the careers of lawyers in the high-tech 'new normal' is therefore, I believe, being held back by the prevalence of depression. Accountants are not nearly so depressed, which might explain why the big four have left most law firms in the dust. This is much simpler and less expensive than most people think and, if done systemically, can enormously increase profits and performance. In most firms it’s the opposite. A culture of praise, as the famous Gallup study discovered, can increase output and profits by up to 20 per cent. Do not let people get away with bad behaviour simply because they bring in a lot of money. Even witnessing other people suffering from bad behaviour can lower the working of both the reward system and the immune system, and therefore the overall profitability and flexibility of the firm. 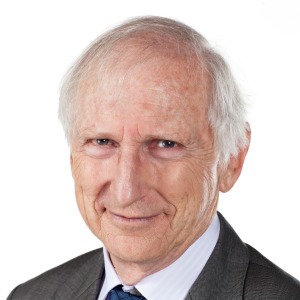 Dr Bob Murray is the principal at consultancy Fortinberry Murray and co-author (with Dr Alicia Fortinberry) of Leading the Future: The Human Science of Law Firm Strategy and Leadership.